It is that time of year again to celebrate Independence Day. Barbecues, good friends, and family are all part of the celebration. Many will view firework displays and some will light their own fireworks at home. While most celebrations go without a problem, there is always a possibility of injury. This time of year medical professionals are called upon to treat injuries from fireworks, typically injury to the hands and face. We have seen some significant injuries over the years. Plastic surgeons are trained in a variety of procedures including aesthetic, reconstructive, microsurgery and hand surgery. There were eight non-occupational fireworks related deaths during 2017. Reporting of firework deaths is not complete, and so this number should be taken as a minimum. Fireworks were involved in an estimated 12,900 injuries treated in U.S. hospital emergency departments during calendar year 2017. This is significantly increased since an estimated 8,700 injuries treated in U.S. hospital emergency departments during calendar year 2012. Of the fireworks related injuries sustained, 70 percent were to males, and 30 percent were to females. Children younger than 15 years of age accounted for approximately 30 percent of the estimated 2012 injuries. Forty-six percent of the estimated emergency room-treated, fireworks-related injuries were to individuals younger than 20 years of age. More than half of the emergency department-treated injuries were burns. Burns were the most common injury to all parts of the body (57%), except the eyes, where contusions, lacerations, and foreign bodies in the eyes occurred more frequently. Children 10 to 14 years of age had the highest estimated rate of emergency department treated, fireworks related injuries (5.9 injuries per 100,000 people). Young adults 20 to 24 years of age had the second highest estimated rate (5.8 injuries per 100,000 people). There were an estimated 1,200 emergency department treated injuries associated with sparklers and 300 with bottle rockets. The American Society for Surgery of the Hand (ASSH) urges the public to leave fireworks in the hands of the professionals. ASSH encourages individuals to attend public fireworks displays, which are monitored for safety by a local fire department, rather than setting off fireworks near or around the home. Remember, one still has to be vigilant even when watching a public firework display. Some will still desire to celebrate the 4th of July with family, friends and neighbors in their backyards. With this in mind, we offer some backyard fireworks tips. In Las Vegas, NV, the Authorities have made it known that they are stepping up enforcement of laws against illegal fireworks. Forty-six of the 50 U.S. states and the District of Columbia allow legal “consumer” fireworks for the Fourth of July. 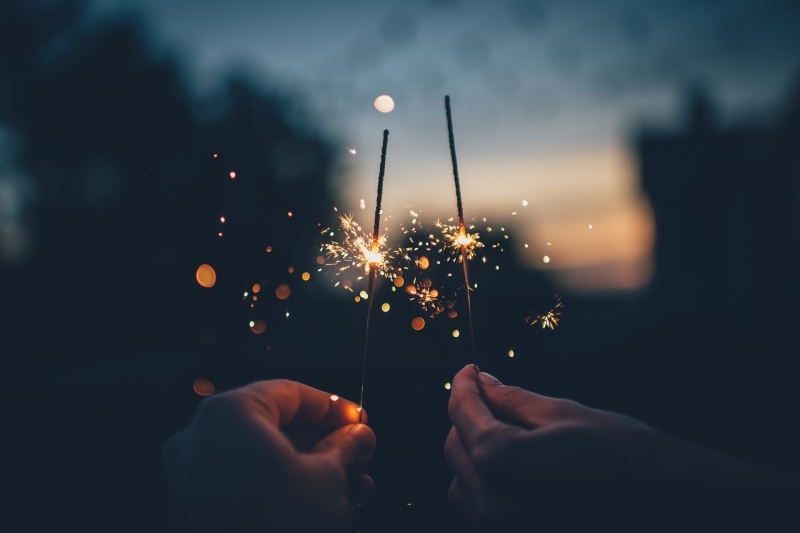 The definition of consumer fireworks varies from state to state, but can include everything from cone fountains to roman candles to multiple tube “cake” devices to sparklers. Before using fireworks, find out what’s legal in your state by checking the state law summary for your state by clicking here. With these safety tips in mind, it is our hope that everyone will enjoy a safe and sane Independence Day.